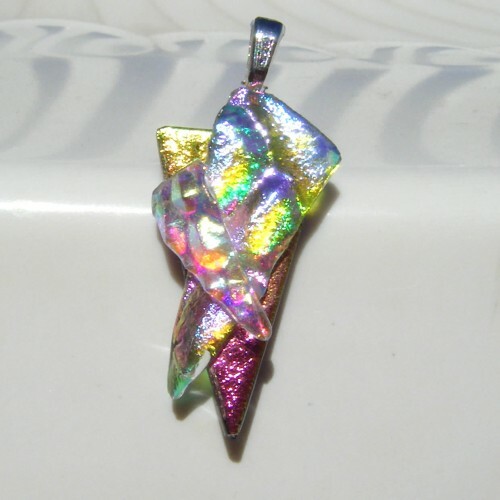 Three layers of dichroic glass in pink gold rainbow. 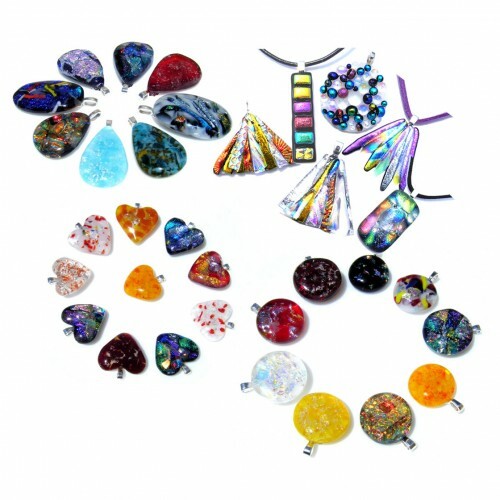 Contemporary pendant which is one of a kind. 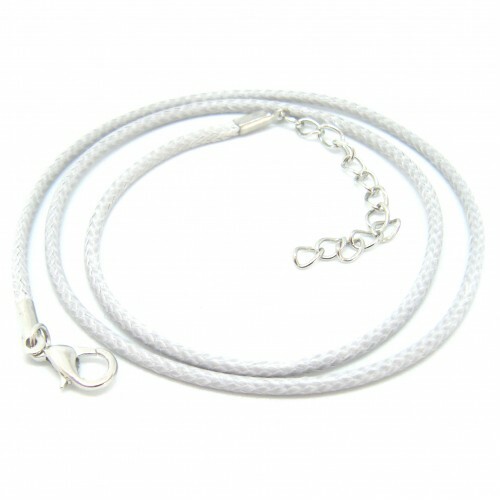 Brilliant everyday sparkle or dress it up. This will tie in perfectly with many styles and environments. 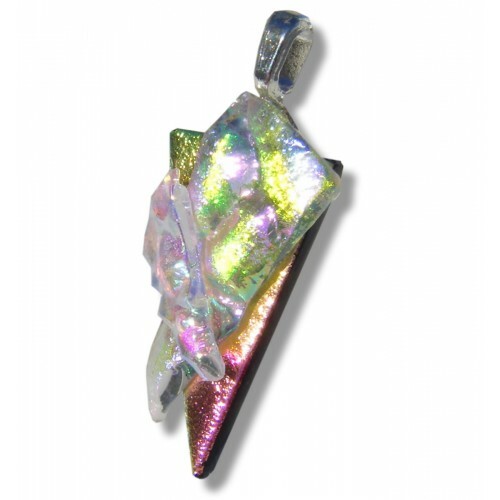 The highly reflective metallic rainbow colors change according to background color and reflected light. 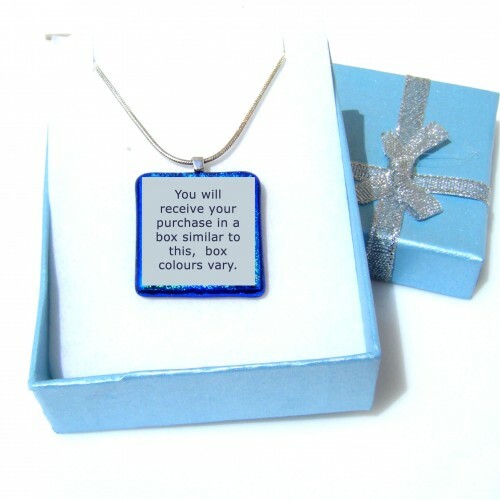 Comes with a silver coloured extendable cord necklace with pretty gift box.